Join us for a special AfterWork event at BREW - BEERS & CIDERS. 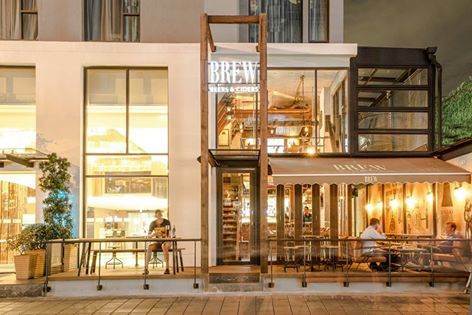 Brew is located at the end of Sukhumvit Soi 11, a 5 minutes walk from Nana BTS (or 20 baht motorcycle, say "Brew"). Thursday, 31 March from 6:30pm - 10pm. 2) 10% discount on your bill! Afterwork is a great opportunity to meet like-minded individuals in Bangkok in a friendly and relaxed atmosphere. Have a drink, have a chat, and make some new friends in an open and inviting atmosphere.. Brew specializes in import beers, ciders, and other beverages. They offer a selection or more than 300+ options, giving them the most variety in Bangkok! Check their Facebook page for more info.